While in San Francisco, I visited Facebook and Google office. Read more about Google complex below. 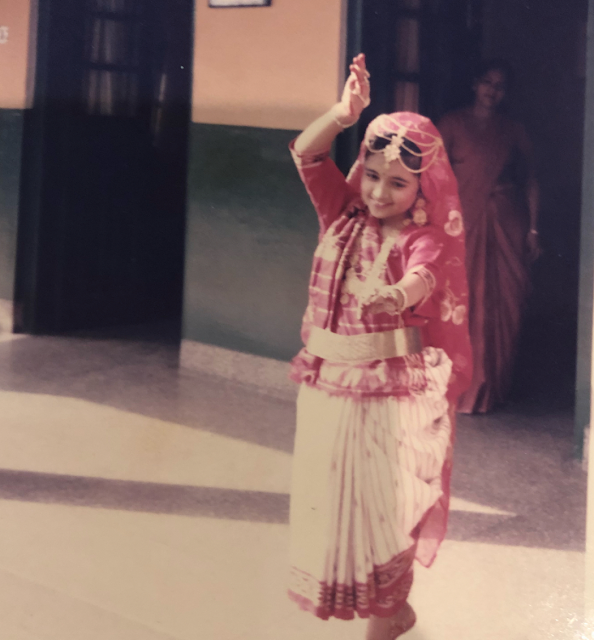 The saree I am wearing is my mom's 40 years old Patan Patola saree that you can see my sister wearing to one of her school functions as a kid. A Patola (or Patolu – singular) is a type of double ikat silk saree made in a few regions in Gujarat. Expensive due to their labour intensiveness, each saree may take from six months to one year to be made. Once worn by royalty and aristocracy, these sarees are highly prized and is a must in the wardrobe of every style-conscious modern woman. Featuring exquisite designs of dancing figures, parrots, flowers, elephants and geometric designs, the Patola sarees are still weaved through a process which, even today, remains a closely guarded secret. Patola silk is a piece of historical tradition that is more than 900 years old. Patola means “Queen of Silks”. The Patola Silk Sarees are one of the finest varieties of handloom silk saree from Gujarat. Patola sarees are woven with great clarity and precision. They are well known all over the world for their highly delicate patterns. These sarees are woven by master weavers on a special type of silk called ‘Patola Silk’. Geometric designs with folk motifs and flaming colours are characteristic features of Patola Sarees. The outcome of the ikat or tie-dye method as it is known, applied to the traditional silk fabric, has created colourful Patola saree sensations, with trendy prints, unique and attractive patterns, with eye-catching motifs as additional embellishments. Patola-weaving is a closely guarded family tradition. There are three families in Patan that weave these highly prized double ikat saris. It is said that this technique is taught to no one in the family, but only to the sons. To create a patola sari, both the warp and weft threads are wrapped to resist the dye according to the desired pattern of the final woven fabric. This tying is repeated for each colour that is to be included in the finished cloth. The technique of dyeing the warp and weft before weaving is called double ikat. The bundles of thread are strategically knotted before dyeing. Patola saris from Patan are renowned for their colourful diversity and geometrical style. Handwoven is luxury. The moment I drape a saree I feel beautiful and this humble drape of feminity makes me look more elegant, confident & graceful at the same time. I always say, Choose weavers, not designers or brands. Many women feel that wearing a saree will make them look "behenji" (someone very backwards and not upscale or modern). Wearing saree is certainly not “behenji”. This is the utmost wrong notion that anyone can have. Wearing saree means grace, elegance, poise, confidence and power. Wearing gowns, dresses, minis or trousers is not the sign of being a modern dame. Wearing saree with panache is really chic. On the other hand, beauteous behenji is classier than a thousand pseudo stylists. Wearing a bindi on jeans is modern but why do you shy away from a saree? Rings on her fingers and bells on her toes, Mogra in hair and choodiyan (glass bangles) on wrists. And she shall have music wherever she goes. Well well!! So these are the definitions of being a 21st-century youth? Okay, then I am not among you all. My question is, does wearing dresses and gowns, listening to English songs, watching Hollywood movies make you modern and urbanized? No, it doesn't. It makes you westernized and not modernized. Have you ever wondered that why the people in the west don't take up our dressing styles? Are they wearing sarees while going on any occasion? Then why should we wear gowns? We the Indians are still under the imperialistic reign of the west. We still imitate them, idolize them and undermine ourselves. We still think they are better than us but don't take a step forward to improve ourselves by what we already have. We forget our identity our culture and the west get a reason to exoticise us. We embrace our own Yoga when the West made it popular. Yes, now you will say "Globalization". But actually its the tendency of Indians to imitate everything under one name and not just what's necessary. Why are we ashamed of eating "gol gappas" and order continental food in the restaurant even though we like the taste of the former more. Why do we frown on the question of wearing a Saree and are excited while wearing a gown, why are we not keeping the party themes as "Indian diversity" instead of "neon and hip-hop"? Dear youth, you say that jeans give you freedom of movement. To me, saree gives me the movement and jeans restrict it. It is tight and suffocating. Distressed jeans, to me, is a way for brands to sell you torn clothes. Adopt the things which are logical and not undermining your own country. You cannot deny that you cant stop your mouth from watering when you see "vada pav". Then why to pretend? This is our culture. Try to make India's identity unique in the world. We should be proud that we have variety, our country gives us so much diversity. Going to temples, touching our elder's feet, celebrating festivals, eating "gulab jamun". Be innovative. Create your own India in a way that the west imitates us and not vice versa. These are also the chains which are binding our progress from the root level to the top. Our society needs development, not enslavement. India is a diamond, it's just that we the youth needs to polish it. Modernizing is when your thinking broadens, you are able to get rid of all evils around you when you are able to make yourself a reason for the development of your life and society when you are an informed citizen. A simple person is judged to be a "behenji". We are extremely conscious of looks, often judging a person by how well he or she is dressed and how straight a woman’s hair is and how fair and lovely her complexion is. All the rest of their qualities and accomplishments take a backseat in view of their appearance. In fact we all know how the last couple of decades have seen an unprecedented growth in people willingly spending hoards of money in self-grooming even to the extent of getting “under the knife” and having parts of their skin crafted and re-crafted to get that perfect nose, the perfect pout, those perfect thighs and what not. Naturally, saree clad women stand out as a sore thumb, the aunties, the behenjis, the simpletons, the ones who to put it in very, very simple words are just ‘being themselves’. Strange! Because in the self-help/motivational section of any bookstore, one can find so many glossy written ‘self-help’ books which are peppered with sentences like, ‘Love yourself the way you are, be comfortable in your own skin and be comfortable with yourself rather than doing what others do. Listen to your heart and be yourself ‘ etc. Ditto with so many motivational speakers. I knew this way before anyone ever told me and contrary to what people think, I don’t or would not want anyone to consider me or others like me any lesser to a smartly dressed woman/girl with salon treated hair and an immaculately made-up face. I’d rather age gracefully and look my age at all points of my life than try to be someone I don’t want to be and if and I will go ahead and do it. Till then and beyond, more power to us behenjis and more power to the people who continue to remind us that we are behenjis. As Kurt Kobain, the iconic late frontman of the grunge rock band Nirvana famously said, “I’d rather be hated for who I am than loved for who I am not”. We all agree that a woman looks sensuous, stunning and gorgeous in saree. 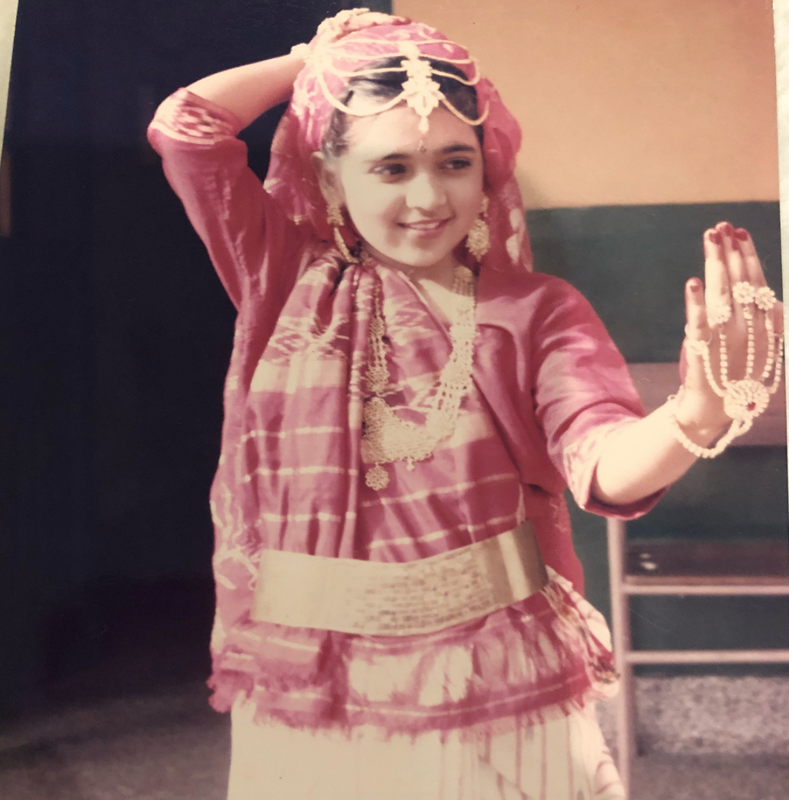 But nowadays, this most beautiful and versatile Indian outfit is worn during weddings, festivals and special occasions only. In fact, girls not of marriageable age don’t like to wear a saree and if they are given an option they prefer jeans or other attire over saree. The problems associated with wearing a saree are the main reason why Indian girls refrain. Let’s check out some reasons why Indian girls hate to wear saree and proudly flaunt western and other Indian clothes. The young generation refers girls as behenji or aunty if they wear Indian attire. Lots of girls do not wear a saree for fear of being called behenji or aunty. A saree symbolizes Indian culture and tradition. It makes women look elegant and beautiful. I don't need an occasion to drape a saree. Draping a saree is for uplifting the mood. It feels festive and celebration if I drape one. It is like raising a toast- to life. At the Facebook headquarters in San Francisco. Few tech companies are more widely known than Google, the search engine and information giant that revolutionized the internet and helped to make it an essential part of our everyday lives. The company has offices around the world, but the most "Googlers" (as employees are affectionately known) are based at the "Googleplex," the Google headquarters in Mountain View, California. The Google office is a popular Silicon Valley and San Francisco sightseeing destination and is close to other popular attractions including The Computer History Museum in Downtown Mountain View and the Shoreline Amphitheater (outdoor concert venue) in Palo Alto. However, there is no Googleplex tour or Google campus tour in Mountain View. The only way a member of the public can tour the inside of campus buildings is if they are escorted by an employee—so if you happen to have a friend who works there, ask them to show you around. The Googleplex address is 1600 Amphitheater Parkway, Mountain View, California, and contains Charleston Park, a city park that's open to the public. The company operates dozens of buildings in the area, but the central campus lawn is in front of Building #43 and you can park in one of the visitor parking lots adjacent to that lawn. The company has an on-campus Google Visitor's Center (1911 Landings Drive, Mountain View), but it is only open to employees and their guests. If you have a chance to tour the campus because you know a friend who works there, be sure to check out this well-marked Google campus map first, then get ready to experience work like you've never seen it. At the Googleplex Campus, you're sure to see the multi-colored bicycles that Googlers use to get between campus buildings and strange works of art including a life-size Tyrannosaurs Rex skeleton often hung with pink, plastic flamingos, and an assortment of quirky stone busts of celebrities and scientists; there is also a sand volleyball court, jumbo cartoon figures depicting each version of the Android operating system, and an on-campus Google Merchandise Store. Additionally, the Google campus has organic gardens where they grow many of the fresh vegetables used in the campus restaurants, solar panels covering all the parking garages providing power that's used to re-charge Googlers electric cars and supplement power of the nearby buildings; and the GARField (Google Athletic Recreation Field) Park, Google-owned sports fields and tennis courts that are opened up to public use on nights and weekends. Google multicoloured bikes that they use on campus.